This time I explained it a little different and at the time I wasn't sure why it came out like it did, but I explained myself quite clearly. I told him I was good at my railroad job, but I hated it. It wasn't a passion and no amount of money in the world was going to make me enjoy it. I followed that I was travelling with the two most important people in my world and that I got to work with my best friend every single day and that if I never made another dime I'd still be living my best life doing what fulfilled me and my family. I didn't argue with him, but spoke life to him by explaining what gave me joy. And for once, he didn't argue either. He said, "Well as long as you're taking care of that granddaughter of mine that's what matters....now when are you coming home?" I told him that I had a plane ticket to fly home that next weekend. "Why the hell are you flying home for?" (Dad had dementia, so conversation topics were shortened at times) I told him I had an event to go to and meet up with some buddies of mine and Taxman. "You're in trouble with the tax man?!?" he asked. "No Dad, I'm meeting some friends at Taxman Brewery to hang out and drink beer." He says, "Well if you're coming all the way home you should have a beer with your old man then!" So I told him I'd fly in late Thursday night and be at his house Friday afternoon and have that beer with him. We told each other we loved the other and said our goodbyes. Two days later as we're driving back to camp from a long day at the Grand Canyon, my brother calls me. He said "Mike, I don't know how to tell you this, but Dad died. "He had a heart attack and even though they tried their hardest, they couldn't save him. I was crushed. We drove back to the campsite and cancelled my flight because there was no way I could wait another 24 hours to start home. We hitched up and were on the road within an hour. The next 30 hours were a miserable blur of high winds and tears. About 300 miles from home it hit me that I'd never have that beer with Dad I promised. Immediately the song started flooding my brain, even though I didn't want it to. Cris, bless her heart, must have thought I was going crazy shaking my head and saying "No, no no! Not now! ", without explanation. Finally a couple hours from home I gave in and asked her to text me the lyrics I was about to speak to her. It took a long while to get them out. By the time I had said "Daddly liked Blue Ribbon" I was a mess all over again. But by the time we were home the song was written. I placed one in his hands and cracked the other one. I told him the things that had always been on my heart but I never had the courage or the strength to say to him while he was alive. Then I told him how sorry I was that I didn't make it home in time, sobbing on his chest. The interesting thing is, as my head was laying there on his chest, he sighed. I won't go into detail, but it's a natural thing dealing with gases and dead bodies. To me, it was his final prank. He scared the living crap out of me, much like the many times he'd done when I was a kid. Then I drank the beer...quickly. It was warm and a Blue Ribbon to boot. It was far beyond a sippin' beer at that point. As I guzzled the last swallow I remember telling him I understood then why he'd drink his beer with salt, because that stuff tasted horrible. I could imagine him telling me to drink the other one to wash the taste out of my mouth. So I did. Over the course of that next summer I built the deck you see in the video behind me as a project to keep my mind from the grief. My best friend, Jeremy Woods, brought me into his studio to track the song and to give me a shoulder to lean on. I am forever grateful for his friendship and his musical gifts. His wife, Wendy, made the sign you see behind me which is a poem I had written for Dad one Fathers Day a few years back. That's pretty much the story behind the song. He loved his boys and he loved his beer. And even though we all had different relationships with him, we all loved him and there ain't a one of us that wouldn't want to have one more beer with Dad. So tonight I will drink a Blue Ribbon in memory of my daddy...with salt poured on the rim. Y'all! This trip has been such a...well...TRIP! I've played with local celebrities in Corpus Christi, played gigs in Sandia, sang with a rock star in Sebring, FL, met a blues legend in Dripping Springs...and so much more! I'll be back in Indiana in April lookin' for places to play. I can't wait to bring home all that I've learned, both on the six string as well as in life. Get ready for show announcements in the Indy area in the very near future! Playin' My Heart Out In Texas! So y'all know by now how much I love music. I also equally love Texas. The Hill Country, The Gulf Coast, The Desert West, you name it, if it's in Texas I already love it! I went to the Executive Surf Club in Corpus Christi the other night and put on a 5 song set just to blow off a little steam. The crowd was sure into it, so I was too! Here's the set I did, recorded on my phone, which surprisingly picked up the audio and video quite well! If you're enjoying what you hear, please spread the word. I absolutely LOVE creating and singing songs. I'd love for folks to hear what I gotta say! The new album is live on CDBaby.com! I will update y'all when it is available on iTunes and Spotify as well as all the other outlets! What do y'all think of the new album cover??? 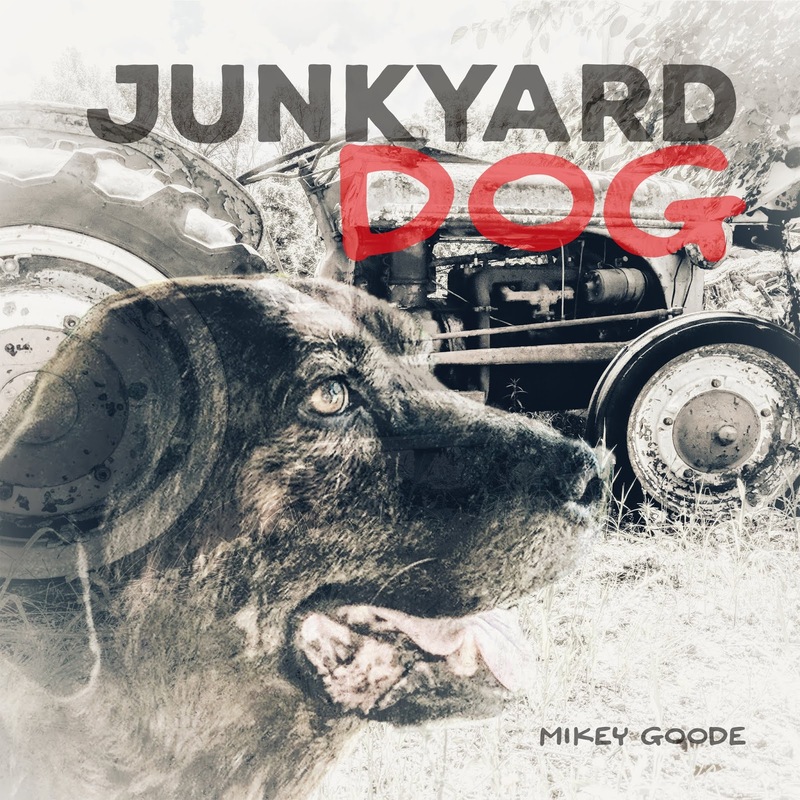 Y'all, I just listened to the master recordings for my Junkyard Dog album. This feels so surreal to hear the stories I've written and set to music after they've been perfected by someone with a thousand times more talent than I have. The album will be available very, VERY soon. You won't be disappointed! Copyright All Goode Media, LLC 2018. Travel theme. Powered by Blogger.